Supports 15 Different Formats. The Model 15 can be equipped with up to fourteen paging formats, both analog (tone-and-voice) and digital display (numeric and alphanumeric). Multiple formats can be supported simultaneously. New formats can be added at any time. The Model 15 supports group calls and other convenience features. Emergency Dispatch Encoder. The Model 25 is an instant call encoder. It is used in airports, fire and emergency centers to call out pager users with the press of a single button or through the Computer Aided Dispatch interface. Each instant call key is programmable and can alert a single pager or team of pager users. Different types of pagers may be combined in the same system, including both analog (5-tone) and digital (POCSAG) pagers. The Model 640 can service all input ports simultaneously for higher traffic applications, sending out pages in user priority. 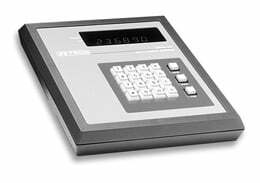 This dial access and PC-driven paging terminal supports up to 1,500 users with up to four telephone lines. Voice pages and numeric or prestored alphanumeric messages may be sent by telephone. Because the Model 640 DAPT-XTRA supports voice paging, voice prompts, and talkback paging, it is ideal for hospitals and public safety organizations that have emergency response teams. Complete messages can be conveyed without an operator typing in a message. The Zetron Series 2000 Paging Terminals are designed for the paging operator needing a flexible, modular approach to system operation, with the capacity to expand to a region wide or national network. The terminals are incrementally expandable in both capacity and options. 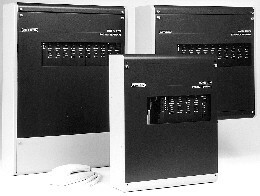 The Series 2000 paging operator can offer customers direct system access by analog or digital telephone trunks or through an operator paging bureau. Direct telephone users are instructed through system operation with voice prompts, locally recorded by the system operator. PC and e-mail users have direct access through a server or dial-up modem.